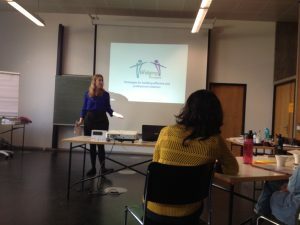 Our vice president Dory Estrade has given an interesting workshop on The Bridging Principles™ together with Helga and Barend, her two colleagues from the Netherlands at the University of Stuttgart on the 16th of October. The Bridging Principles™ are teaching you the essentials of effective communication and conflict-free cooperation not only between people across cultures but also within our daily neighbourhood. 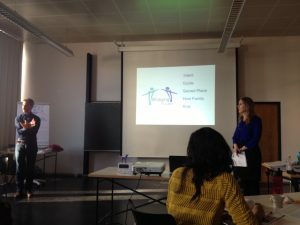 The workshop was definetly worth attending as it provided a logical framework and thus replicable success strategies of a communication behaviour that most of us already may subconsciously apply. Now it can become conscious and thereby also a subject of conscious training. We are looking forward to incorporate these Principles in our project management workshops in the future. Dieser Beitrag wurde unter Allgemein abgelegt am 23. November 2018 von kajo.